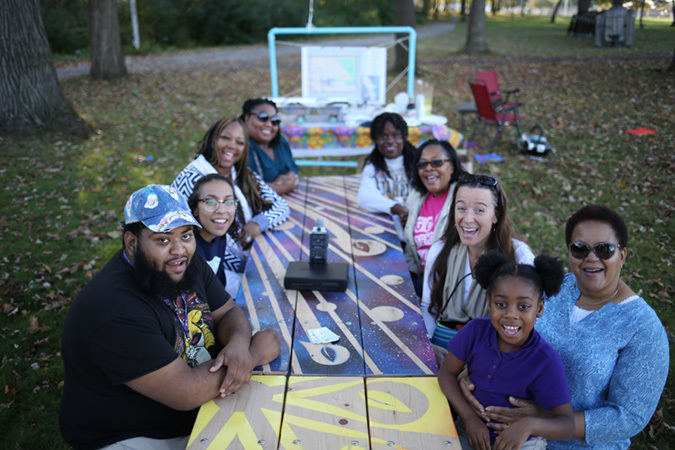 The Greater Milwaukee Foundation’s On the Table MKE is a regionwide forum offering a unique opportunity to engage in meaningful conversation and take action – individually and collectively – to improve the quality of life in our community. 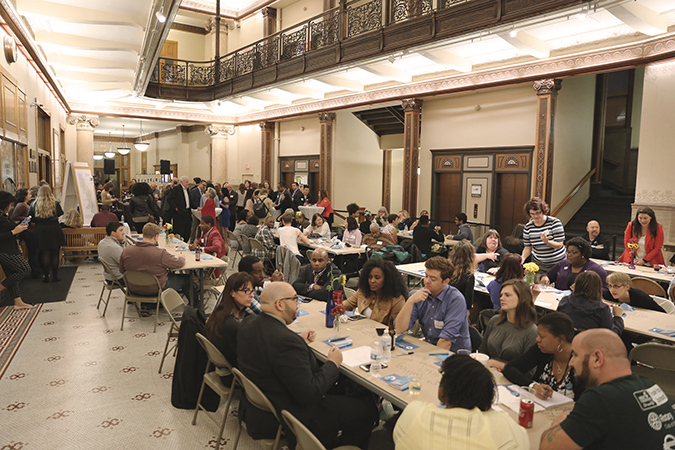 On October 9, 2018, more than 5,000 residents throughout greater Milwaukee gathered in small groups to share a meal—breakfast, lunch, coffee or dinner-- and discuss the opportunities and challenges we face. 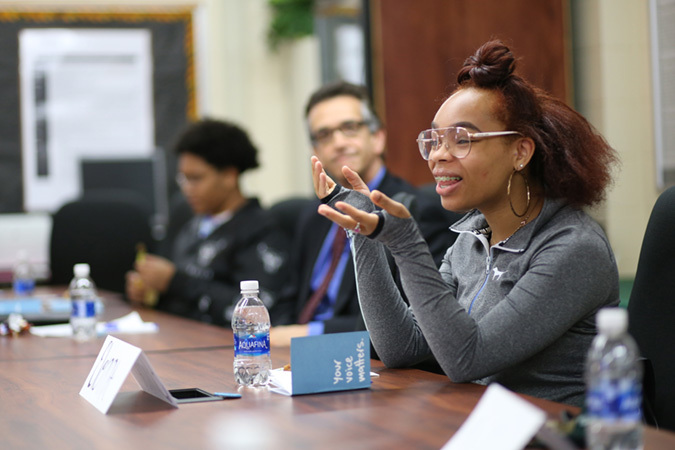 To learn more about the themes that emerged from the conversations, read the Voices from the Tables community reports below. On the Table MKE will return on October 10, 2019. Greater Milwaukee has what it takes to be a globally competitive, 21st century region. Like any community, we have our share of opportunities and challenges. Our region’s growing diversity is a significant strength, and it will be a competitive advantage for our shared future. In large part, our region offers a remarkable quality of life; however, for far too many people, opportunity for economic, social and civic participation is out of reach. In areas such as income, incarceration and entrepreneurship, we face significant disparities based on race and ethnicity. Moreover, these disparities are often more pronounced here than in similar regions. Achieving our shared goal of a thriving region will require building upon the strength of our diversity while ensuring that race and ethnicity are never barriers to all people reaching their full potential. 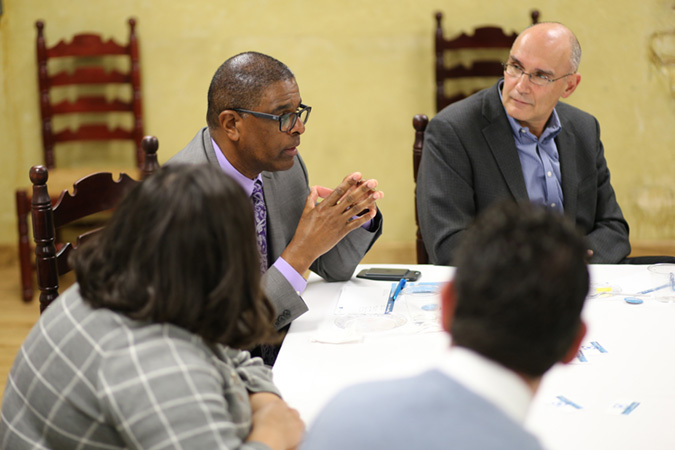 On the Table MKE has the potential to accelerate our community’s progress. As you prepare to participate, consider how diverse perspectives could invigorate dialogue at your table. The Greater Milwaukee Foundation is the region’s largest community foundation and was among the first established in the world. For more than a century, the Foundation has inspired philanthropy by connecting generous people to community needs that align with their interests. The Foundation was founded on the premise that generosity can unlock an individual’s potential and strengthen the community as a whole for everyone who lives here. 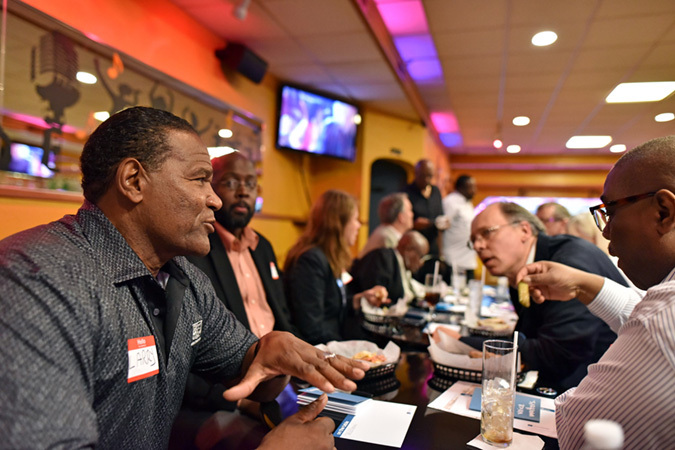 We work in partnership with those who are committed to ensuring greater Milwaukee is a vibrant, economically thriving region that comprises welcoming and inclusive communities providing opportunity, prosperity and a high quality of life for all. The Foundation serves Milwaukee, Ozaukee, Washington and Waukesha counties, and our donors support causes locally and around the world. Since being established in 1915, the Foundation has awarded more than $797 million in grants – including a $80.3 million in 2018 – supporting a wide variety of nonprofits and initiatives that are forging a brighter future for the people of greater Milwaukee.